Since the elimination of harmful CFCs from the refrigeration industry, two refrigeration systems have become popular: Ammonia systems and Carbon Dioxide systems. Ammonia gained popularity due to its three distinct advantages, such as its natural occurrence, its extreme thermodynamic capabilities and its minimum heat transfer requirement. It is expected that Carbon Dioxide systems will experience exponential growth in the coming years, due to its ready availability and cost efficiency. With Carbon Dioxide, manufacturers can reduce the initial outlay of costs for their final products and increase the operational efficiency of the system as well. With the efficiency of Carbon Dioxide and Ammonia refrigeration systems, the amount of energy saved by the end user will translate directly into reduced operating costs. Much emphasis is being placed on the design of the compressor in newer commercial refrigeration solutions, as the compressor not only bears the biggest cost, but can cause the greatest effect with regards to refrigeration efficiency and effectiveness. Current trends see manufacturers reducing the production cost of their compressors and improving their operational efficiency for the benefit of the end user and the environment. The European Commission is one of many bodies looking to improve commercial refrigeration strategies in 2019 to support a growing market and dwindling natural resources. Strategies include boosting the energy efficiency of buildings to improve heat or cooling containment, as well increasing the use of renewable energies and encouraging reuse of wasted heat and cold. The refrigeration industry as a whole could reduce its energy consumption by around 5% in 2030, and around 8% by 2050, just by implementing readily available commercial solutions, according to RAC Plus. The first step you can take is to analyse your existing commercial refrigeration solutions. Older units should be replaced with newer, eco-friendly models that offer increased efficiency and effectiveness, benefiting you and the environment. Next up is the scheduling of regular preventative maintenance, to keep your commercial refrigeration solutions in optimum condition. Faulty gaskets, improper compressors and leaky pipes lead to inefficiency, increased energy cost and production of harmful gases. 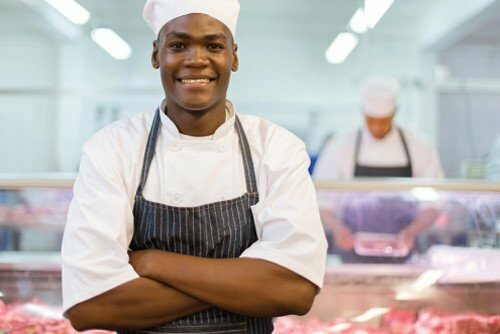 Stay on top of your commercial refrigeration with Just Fridge. 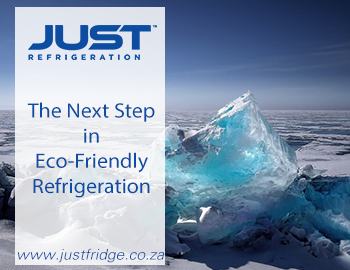 Contact us today to take your commercial refrigeration into the 21st century with sustainability, efficiency and environmental consciousness.